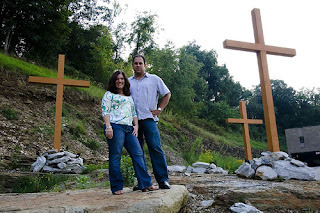 Two good friends of mine have entered the blogosphere – Greg and Francie Krowitz. They are pastors for our next church plant – BridgePoint Church in Tarentum, PA. You may have read about them here before, but they will be meeting in a boxing gym! God is already doing some amazing things, and I know there are great things in store for the Greg and Francie! You can check out their blog here.